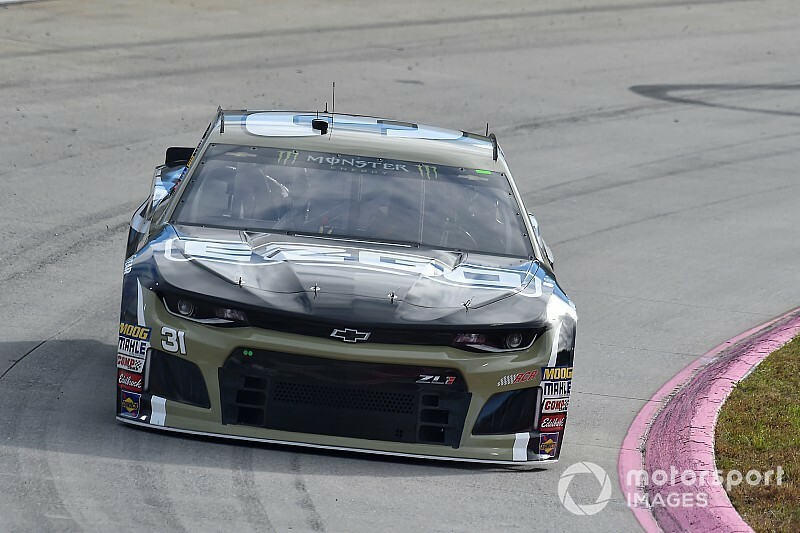 Ryan Newman led the way in Saturday’s final Monster Energy NASCAR Cup Series practice session at Martinsville (Va.) Speedway. Newman was one of the first drivers on the track during the 50-minute session and locked in the fastest average lap speed of 95.709 mph. Chase Elliott, who has won two of his three races this season in the playoffs, ended up second (94.913 mph) and Kyle Busch – who won this race one year ago – was third (94.784 mph). Brad Keselowski and A.J. Allmendinger completed the top-five. Rounding out the Top 10 were Clint Bowyer, Erik Jones, Ty Dillon, Martin Truex Jr. and Kevin Harvick. Kyle Busch had the fastest average speed among those drivers who completed at least 10 consecutive laps (94.205 mph). Keselowski and Bowyer were second and third, respectively, in that category. “You can come here with the same setup, but you’re constantly tweaking on it. You can end one way in a race and come here and unload the exact same way and end another way and then come back here and unload the exact same way and finish that one and make changes,” Busch said. There were no on-track incidents during the session. Take a virtual lap around Martinsville Speedway with NASCAR Heat 3.